Springtime in the University of Washington Botanic Gardens is the most difficult time to choose a ‘favorite’ plant. For this month’s Plant Profile I’ve narrowed my selection down to a single specimen in one of my favorite genera, Rhododendron. 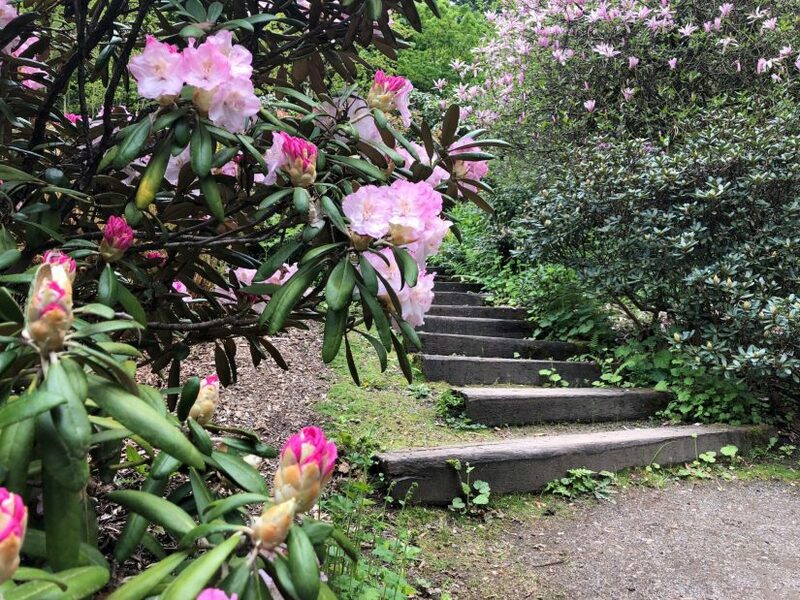 The Washington Park Arboretum has several gardens dedicated to Rhododendron, including Azalea Way, Puget Sound Rhododendron Hybrid Garden, and Rhododendron Glen. 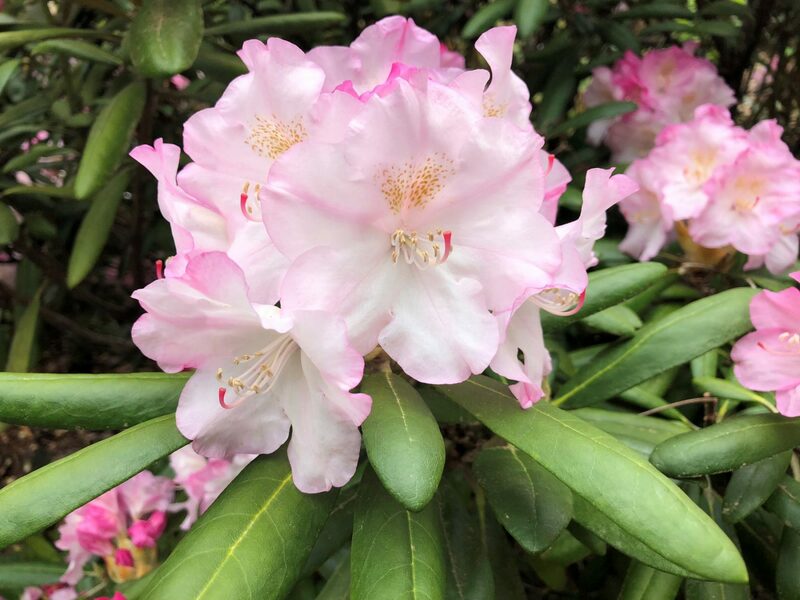 The climate in the Puget Sound allows us to grow almost all the species and cultivars of Rhododendron available, excluding tropical species. Rhododendron ‘Ken Janeck’ is a hybrid containing Rhododendron degronianum ssp. yakushimanum in its parentage. This species became popular with hybridizers in the 1970s and 80s because of its small size and compact habit. There is some debate as to whether ‘Ken Janeck’ is a variety of the species or perhaps is a hybrid containing R. smirnowii or another species. Whatever its lineage this plants hardiness and beauty make it a fantastic choice for Pacific Northwest gardens. Don’t take just my word for it though, it has won the American Rhododendron Society’s Award of Excellence, and was on the inaugural Great Plant Picks list. ‘Ken Janeck’ has beautiful clustered flowers starting a deep rose color that transitions to a light pink as they expand. Its thick curved leaves and thick indumentum (a fuzzy layer of fine hairs under the leaf) provide texture and interest even out of flower. Location: Located in the Puget Sound Rhododendron Hybrid Garden. The current Puget Sound Rhododendron Hybrid Garden was officially dedicated in May 14, 2000. Plantings in this garden were divided into three time periods: Early Era – 1940s-60s; Middle Era – 1970s-80s; and Contemporary Era – 1990s to present. This garden can be found in the very center of the Arboretum, at the intersection of the Loderi Valley trail and Azalea way. Origin: The cultivar was selected by Kenneth Janeck of Tacoma, Washington and introduced in 1965.